Every day, dogs like yours need blood transfusions and for many procedures a transfusion is a clinical necessity. 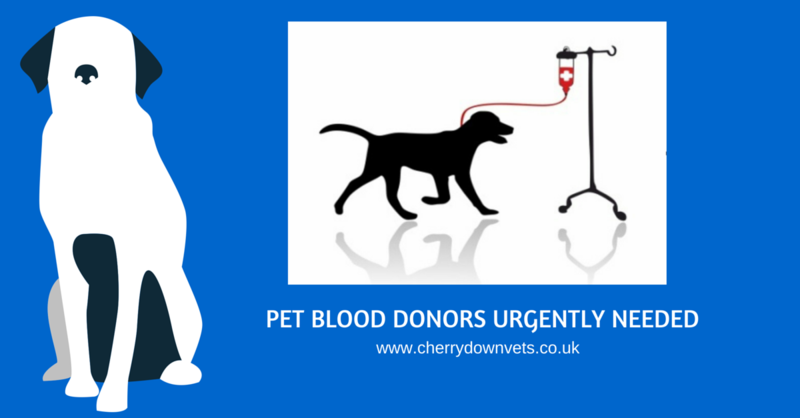 Without blood donors veterinary surgeons could not undertake important and often life saving operations. An ideal donor has a very calm temperament, is fully vaccinated, over 25kg and under 8 years old. Your dog may feel a small scratch as the needle is inserted, but after this, the procedure is painless. Your dog will get lots of cuddles & attention from our nurses who will be with your dog through the whole process. The amount of blood taken is small so as not to cause an adverse affect on their health. After the procedure your dog will be given fresh chicken as a reward. Donating only takes about 20 minutes and we will add a £35 credit to your account. After donating blood a small dressing will be applied, just like when we have blood tests at the doctors. This can be removed after about an hour. We would recommend that your dog take it easy for the rest of the day after his good deed – but only as a precaution not a necessity. 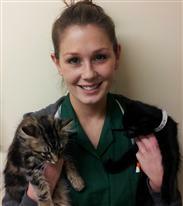 If you are interested in helping, please email enquiries@cherrydownvets.co.uk with your details or call us on 01268 533636 and ask to speak to our nurse Rikki.